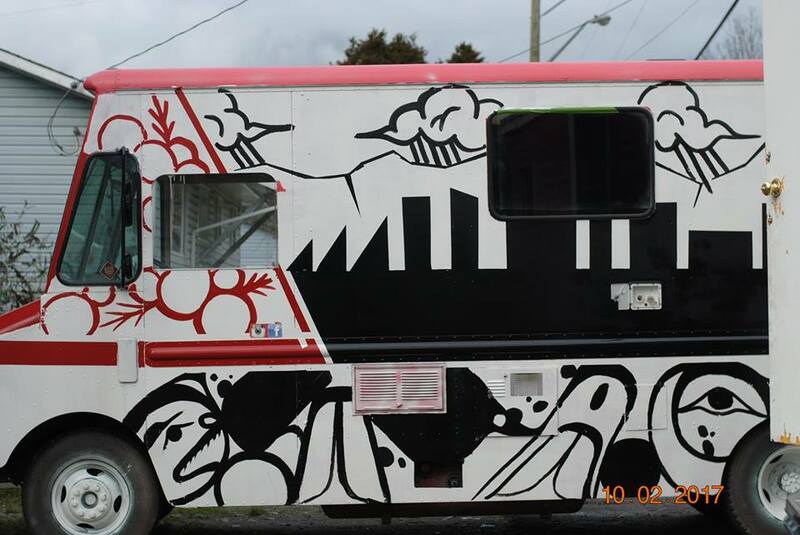 Metro Vancouver’s first Indigenous food truck is now rolling. 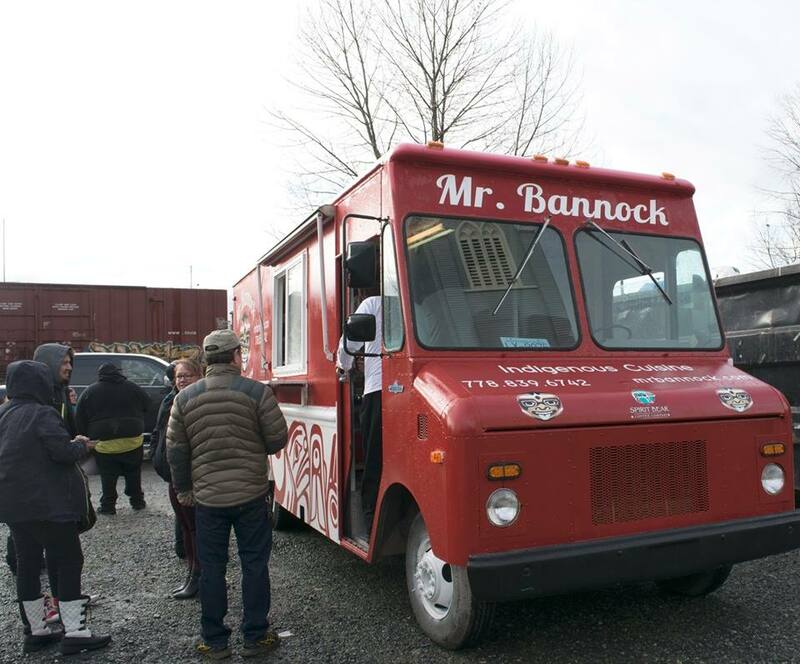 Paul Natrall, the chef/owner of Mr. Bannock, merges traditional cooking methods with current food trends. 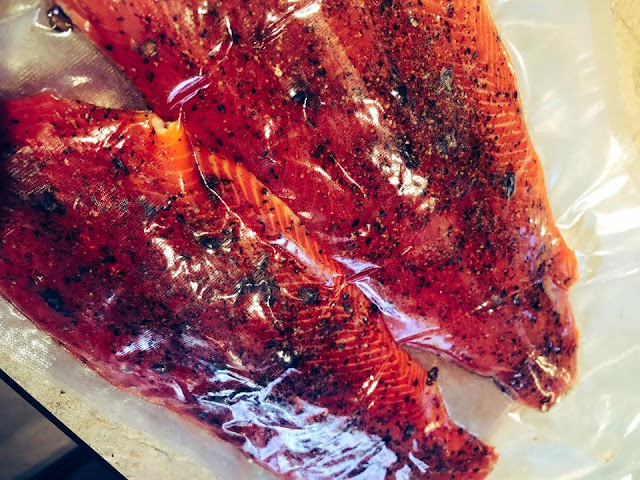 “We take pride and joy in sharing fusion Indigenous cuisine, using traditional ingredients from Squamish Nation such as juniper berries, smoked wild salmon and meats, and traditional methods such as clay baking and stone baking”, Natrall said in a release. Mr. Bannock will officially launch today (January 27) from 11 a.m. to 5 p.m. at St. Paul’s Church (424 Esplanade West) in North Vancouver. 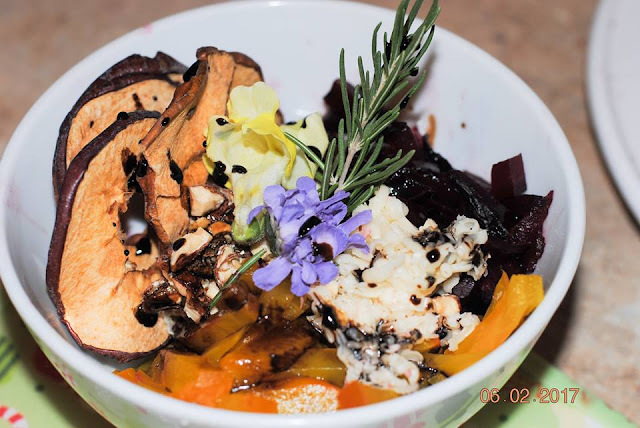 Menu items will include Indian taco, bannock calzone, waffle bannock, and a plant-based bowl. 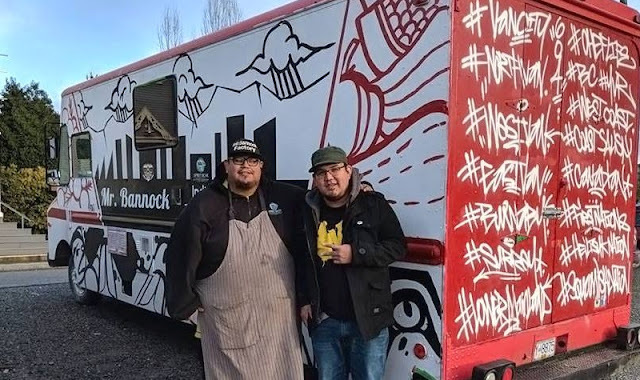 In an interview with the Straight after he launched his catering company, PR Bannock Factory, last year, Natrall explained how he grew up on Squamish Nation territory and spent much of his childhood watching his grandmothers cook. After years spent observing and helping the elder women prepare and serve traditional meals to his extended family, he went on to train in the Aboriginal cooking program at Vancouver Community College. In 2012, he travelled to Germany as a member of Aboriginal Culinary Team Canada for the Culinary Olympics. The art work on the red, black and white Mr. Bannock food truck is done by Heiltsuk artist KC Hall and represents traditional foods (berries and the “three sisters” of squash, corn and beans). Responses to "Mr. Bannock, Metro Vancouver's first Indigenous food truck, officially launches with a fusion menu"